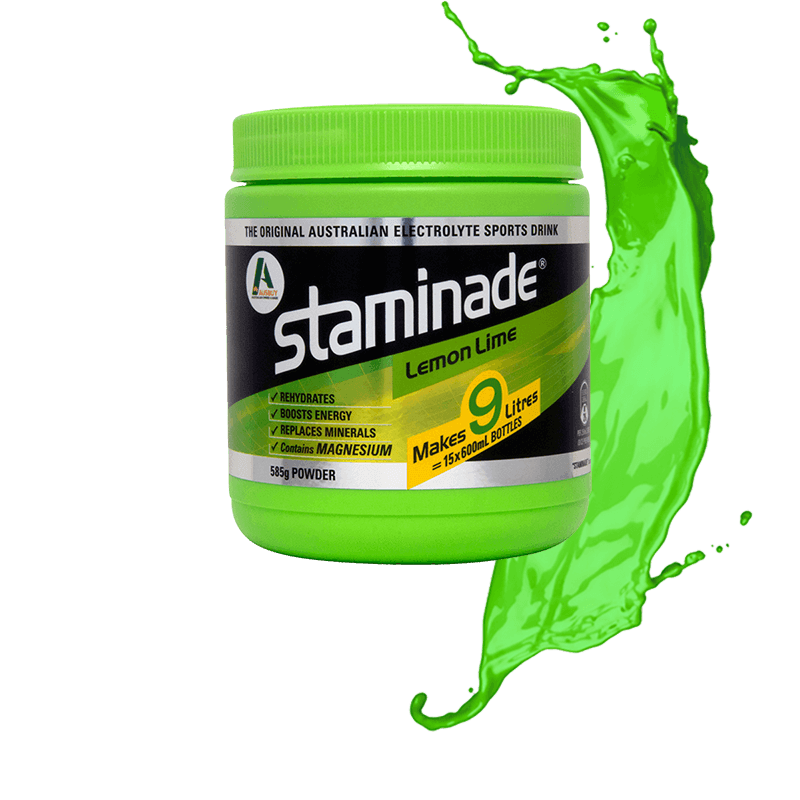 Staminade’s zingy lemon lime fusion powder is the original Australian electrolyte drink with a unique thirst-quenching formulation. 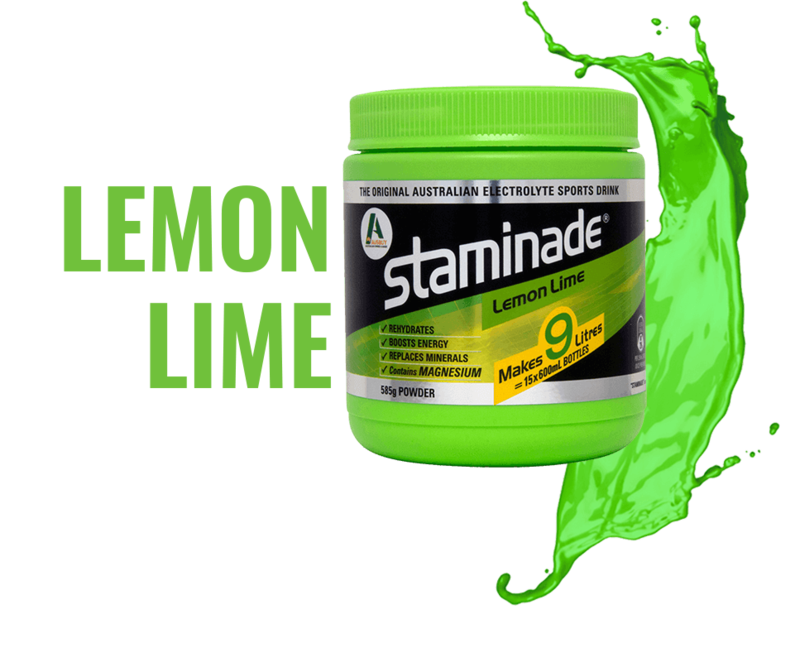 Lemon Lime flavour is available at both Coles and Woolworths stores across Australia. 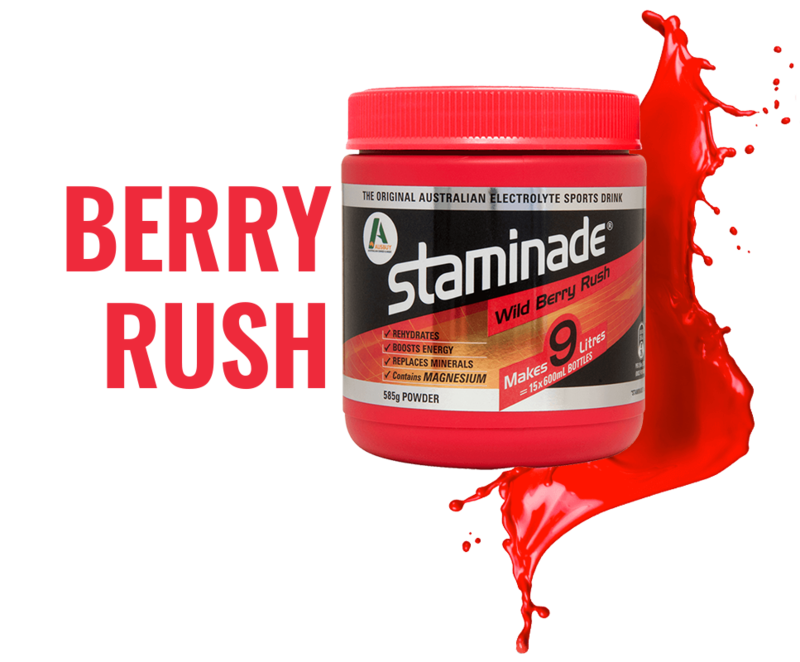 Wild Berry Rush Staminade powder is a tasty fresh flavour of our Australian electrolyte drink. With great fruity flavours, it is a great when you are looking to quench your thirst. Wild Berry Rush flavour is available at Woolworths across Australia. Orange you glad we have a fresh new flavour for you! Orange Blast Staminade sports powder is the perfect summer refreshment. 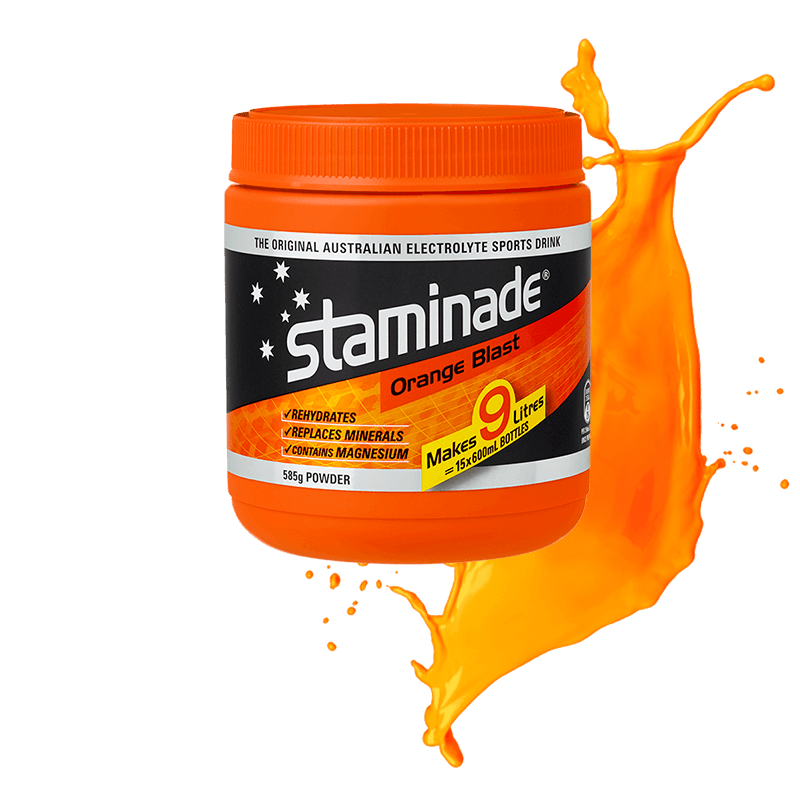 Orange Blast Staminade Sports Powder is available at Coles stores across Australia. Did you know Staminade is gluten free? That’s right! 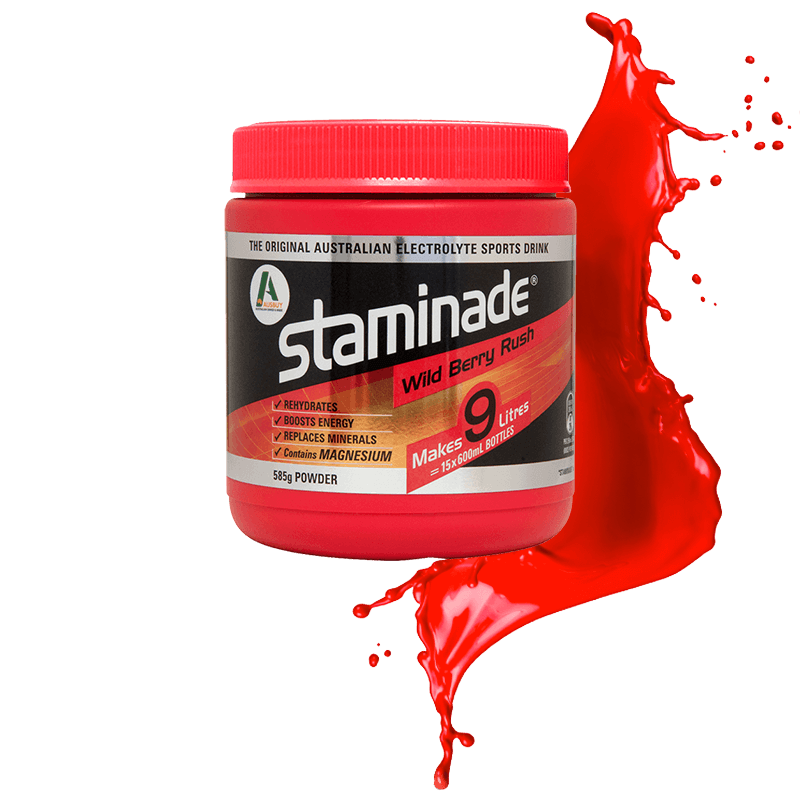 All Staminade sports drink powders are gluten free. We would love top hear from you about your favourite flavour. Do you love Lemon Lime? Maybe Wild Berry Rush is your flavour of choice. Or the newest flavour, Orange Blast. Share with us your feedback and if you have any special Staminade recipes, please let us know, we always love to hear! I use powdered Staminade Orange Blast but I do not want the artificial colour in it. When I make it up and put it into a stainless steel drink bottle you cant see the colour anyway. Do you have any plans for a colourless Staminade powder? Thanks for your message and feedback. We don’t have a colourless Staminade powder at the moment. We’ve noted your comments and suggestion. Any new releases we have are announced on our social media (you can find the links at the bottom of the page). Thanks again! The Staminade team. Hi Andrew, Thanks for your message. All the ingredients are on the label, however we can help. Each flavour is different. Which flavour would you like ingredients for? Thanks, The Staminade Team. Do you do large containers of staminade? My husband and son are both bricklayers and like to have this drink as they like to put a bit of salt back into there bodies as they are burning up so much energy and they go through the small containers to quick. Great to hear your husband and son are using for work. Bricklaying is physically demanding and hydration and replacing the electrolytes so important! The biggest we have in the supermarkets is the regular size tub. However, if you contact our customer service team on 1800 008 155 they may be able to assist further. Hello there, where can I buy the berry rush from as all the stores around me only sell the green lime one, also did you know how much it would be? I really like Staminade Orange Blast (can’t stand the Lemon Lime flavour, it reminds me of that horrid green Cottees Cordial!) – and while the large tub is good for home, if I’m on a long ride (3h+) and want to refill a bidon with staminade I’m a bit stuck. Is it available in, eg, a compressed tablet form (ala berocca) that is easily portable? 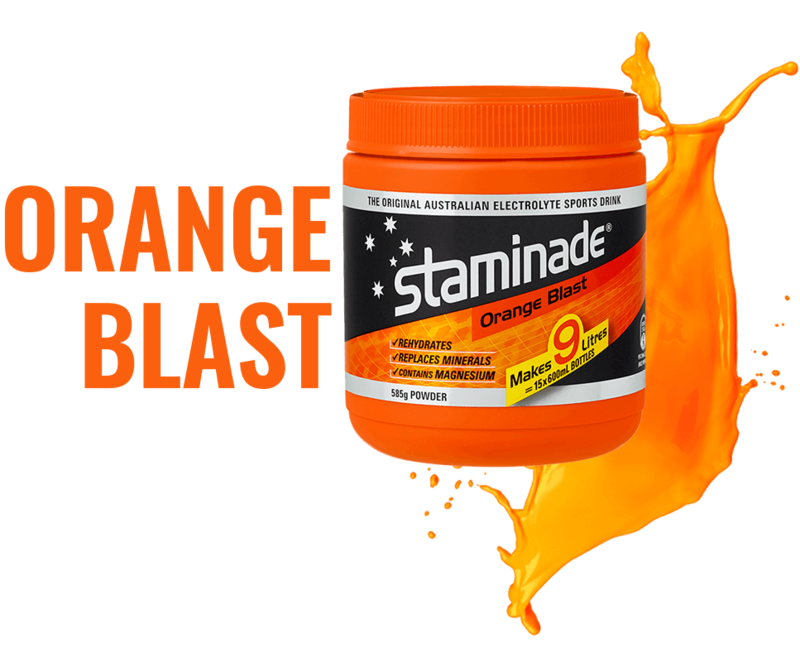 Great to hear you like the Staminade Orange Blast — we love it too! It’s not available in a compressed tablet form unfortunately. It would be very convenient!